It is with sadness that the Ministry of Defence must confirm that Corporal Johnathan Moore and Private Sean McDonald of The Royal Scots Borderers, 1st Battalion The Royal Regiment of Scotland (1 SCOTS), part of the 3 RIFLES Battle Group, were killed in Afghanistan on Sunday 7 February 2010. The soldiers died as a result of an explosion near Sangin, in Helmand province. Corporal Johnathan Moore was born in Bellshill, Lanarkshire, on 2 July 1987. He was brought up in Hamilton and went to Hamilton Grammar School before enlisting and going to the Army Foundation College in Harrogate in 2004. He completed a year’s training, designed to promote junior leadership, before going to the Infantry Training Centre Catterick for his Phase Two, infantry-specific, training. 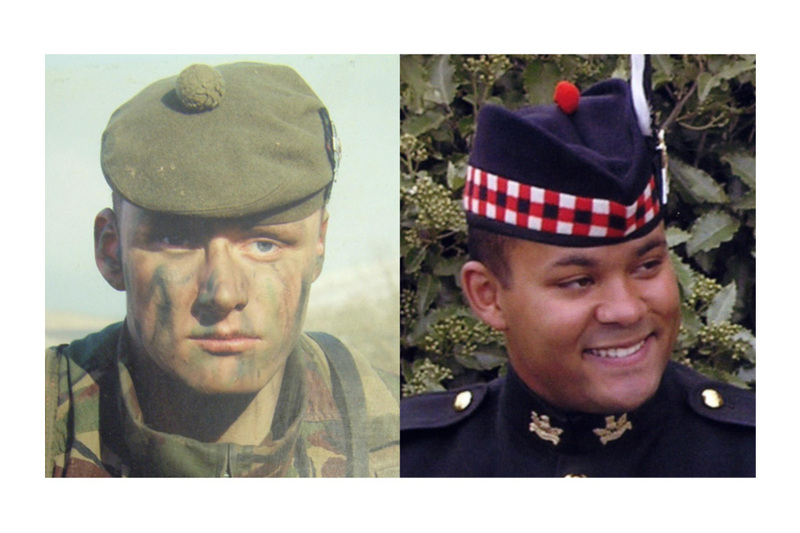 He joined The Royal Scots (The Royal Regiment) in March 2005 and since then has been on two tours of Iraq. Corporal Moore deployed as a Section Commander with B Company, The Royal Scots Borderers, 1st Battalion The Royal Regiment of Scotland, part of the 3rd Battalion The Rifles (3 RIFLES) Battle Group, to Sangin in October 2009. The company operates mainly from Patrol Base Wishtan in the Sangin area of Helmand province, and has been conducting operations to provide security and development to the local nationals, whom they live amongst. Corporal Moore was commanding his section on a routine night patrol to the south of the company base on the evening of 7 February when an IED detonated, killing him and his lead man. Johnathan was a proud Scottish soldier who was doing a job that he loved; he will be sadly missed by a loving and very proud family. The Army and his family were Johnathan’s life; we are devastated at our loss. Corporal ‘John’ Moore was as determined and committed as he was able and professional. A junior leader of the rarest quality, our Army depends on men like him and his loss is a bitter blow. Another of our brightest stars has given his all before we have had the chance to see his full and undoubted potential unfold. Yet he would be the first to tell us not to dwell on our sense of terrible loss but to pick ourselves up and carry on the outstanding work he and his men have been doing. Corporal Moore has been at the forefront of some of the most demanding urban counter-insurgency operations imaginable amongst the tight and treacherous alleyways of his company’s part of Sangin. He has daily and nightly run the gauntlet against a small band of callous insurgents rarely willing to show themselves or fight head on, preferring to rely on indiscriminate booby traps which have also taken a devastating toll on locals and their children. Their nihilistic desire to cow the local population stands in stark contrast to Corporal Moore’s own selfless dedication, not just to his men, his brave Jocks, but to the local Afghans, for whom he wanted nothing but a better future. This Battle Group salutes Corporal Moore’s unflinching commitment and reveres his proud memory. He stands as an example to us all and we renew our determination to continue the clear progress that has been made in our mission - progress to which his personal contribution was immeasurable. The thoughts and prayers of all in the 3 RIFLES Battle Group go out to his family, his friends and his own fine regiment. Corporal ‘John’ Moore was the type of Non-Commissioned Officer that every Commanding Officer wants in his battalion, and I am privileged to have had the honour to work with him. He had all the attributes of the perfect Scottish warrior; bold, charismatic, tough as nails, utterly professional and a born leader of men. He was destined for the top; best student on his Non-Commissioned Officer course in 2007, and a star of his Corporals course in 2008. As the Regimental Sergeant Major said, ‘Corporal Moore personified everything there is about being a soldier’. I can think of no more fitting tribute to him. Corporal John Moore was perfectly suited to this unique profession of ours, and like so many of his peers he looked upon it not as a straightforward job, but as a true vocation. He played a pivotal role during the battalion’s tour in Iraq in 2008, and relished the opportunity of an operational deployment to Afghanistan alongside the 3 RIFLES Battle Group. Equally, perhaps more importantly, he believed passionately in the difficult work that he was doing to protect the people of Helmand. In doing so, and in helping to keep our country safe, we owe him and his family an enormous debt of gratitude. Corporal John Moore was a big man in lots of ways. He was one of the fittest men in the company and I remember one particular fitness test where his time was so far in front of the rest that it made the remainder of us look like imitation soldiers. And he was no imitation. When I first arrived in the company in 2008 a place came up at very short notice to attend the tough Section Commanders’ Battle Course. When I offered him the opportunity to attend he nearly bit my arm off despite having only three days’ notice to prepare. It was typical of him that he went and got a very good pass and came back to us with the glint of ambition in his eye. He promoted well ahead of his peers and excelled as a field soldier, always leading from the front, including under fire. But he also had a mischievous side, lived life to the full and was always in the thick of the banter. He was universally popular throughout the company and threw himself into everything he did. As a young man himself, he was close to the Jocks - and they looked up to him without exception. He was the shining example of one of them on the rise - they knew it and wanted to be with him. He was a brother to so many. They trusted him implicitly - all of us did - and after this tour he was due posting to a training job where I have no doubt his wonderful mentoring ability would have turned out more young Jocks just wanting to be him. We will miss him and are now the poorer for his loss, and words seem very empty. But he was where he wanted to be and would be the first to stand up defiantly and tell us to continue our work here in Afghanistan. We will honour him by doing so. We have had a genuine star taken from our midst, and are devastated, but hope that those whose grief is far greater than ours, his two sisters Emma and Heather, and his parents Ian and Karen, will take some comfort in knowing that he remains one of a kind to us and will always be remembered. We will all meet on the Re-org. Nemo me impune lacessit. Corporal John Moore was a young rising star of the battalion; he took every opportunity in his career and life with both hands and didn’t look back. Corporal Moore joined the Army in 2004 with initial training at Harrogate and ITC [Infantry Training Centre] Catterick. Since then he had completed two tours of Iraq on Op TELIC 7 and 11 and had been deployed on Op HERRICK 11 since October 09. Corporal Moore had excelled as an infantryman and upheld the highest standards of a soldier in the Royal Regiment of Scotland. The passion he brought to the job meant quick promotion and after a strong performance on Exercise Grand Prix 6 in Kenya he was given a section to command on operations. Whilst in Afghanistan he led from the front and earned the respect of the Jocks and his chain of command. Corporal Moore had also demonstrated courage under fire and was not afraid to break cover and give as good as he got. Corporal Moore also showed courage in his choice of hobbies. He had developed a taste for skydiving during adventurous training in Kenya and, when he threw himself out of the plane first, it meant no turning back for the rest of us. 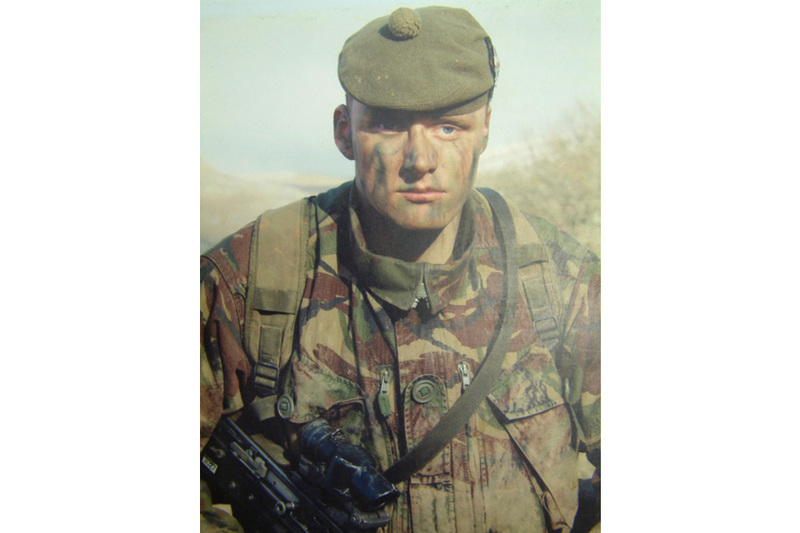 Corporal Moore had drive and was looking forward to training recruits at ITC Catterick upon returning from Helmand; he was also focused on having a crack at SAS [Special Air Service] selection, where he would have given his all. To say that the soldiers of 4 Platoon will miss him is a vast understatement; he was a friend to many and a mentor to the young Jocks. I am proud to have served alongside him and we will continue to serve with a gap in our ranks. Our thoughts are with his parents Karen and Ian and with his sisters Heather and Emma; he was the very best of us. Corporal John Moore was an extremely fit and focused commander; he was liked and well respected by all. He was a rising star within 1 SCOTS; he will be sorely missed by all. Rest in peace, we will always remember you. John was one of the best: keen, enthusiastic, and, most of all, loyal to both the Army which he loved and most of all to his family. He always had a smile on his face when telling me about going home to see his niece Esmee. He was one of the best Section Commanders I have ever seen and he was well respected within the company and platoon. There is a hole in 4 Platoon that will never be filled. My thoughts are with his family and friends. Rest in peace, John. As a section attached to B Company, 1 SCOTS, we have only known Corporal John Moore and Private Sean McDonald for a short period of time. When I asked the Engineer Section to sum both John and Mac up, this was just a few of the words they used: professional, courageous, selfless, committed and true infantry soldiers. PB [Patrol Base] Wishtan has lost two true brothers from their close family. To these Warriors we will continue the fight. Rest in peace Corporal John Moore and Private Sean McDonald. Big John was a true warrior who wasn’t scared of anything the enemy had to fling at him. I was honoured to fight by his side; he will always be in my thoughts. Rest in peace Big Man. John Moore was a young, keen enthusiastic soldier who had all the potential in the world. He was a very strong member of 4 Platoon and all the young Jocks looked up to him. Before we deployed on patrol the night he was killed a fellow soldier had said to John about how bad the weather was. John’s reply was ‘if it isn’t raining then you’re not patrolling’. And that just sums John up. John will be sadly missed and forever in our thoughts. Rest in peace. I remember the very first time I met John, it was in Baghdad during Op TELIC 7. I didn’t know who he was but I had heard how he managed to clear a room within seconds - those who were there will know what I am talking about! The last night we had out together was in Glasgow at Corporal ‘Eddie’ Scott’s stag do. It was one of the best nights I have ever had thanks to John. But then of course the next morning bright and early he was banging on my door saying let’s go shopping because he was never affected by anything. He is the only person I know to be so hyper first thing in the morning. I will always remember him. Rest in peace John. You were more like a brother than a mate, since the day we started Catterick to the day you were taken away, we were always together. You will never be replaced. I don’t think anyone is as keen as you. Always up first and ready to annoy us all. Since you fell, me and the boys were talking about Cancun where we paid so much money to get there and you only managed to get out once. I remember it like it was yesterday when I was walking along the corridor of the hotel to see your black figure on the floor and as I got closer I realised you were using your trainers as a pillow - that was John being John! There is keen, and then there is ‘John Moore Keen’. Rest in peace, John. Corporal John Moore was not only a great work colleague but a great friend and an even better buddy too. He was well respected by all members of 4 Platoon and B Company as a whole. John was a bit of a joker in 4 Platoon and liked to have a carry on all the time. He loved to go out and have a drink with his buddies. But the one thing I will remember about John is the smile on his face when he was talking about his niece Esmee. But I must admit John, I don’t know who is going to carry me to bed now! Rest in peace John, you will never be forgotten. I have known Corporal John Moore for about one-and-a-half years. John was not only my army friend but he was a true civvie friend too. We lived near each other in Hamilton and we would meet up at weekends and go for a few drinks. I am truly going to miss John and the dramas at the Hamilton Palace. I want to give my deepest regards to all his family and my thoughts are with his niece Esmee, whom I know he wanted to get home to see. And I best not forget about his dog that I know he loved even though he pretended he didn’t. I am going to miss John so much and I know that everyone in 4 Platoon will too. I joined the battalion with John over four years ago and right from the word go he loved his job and he was keen in every way possible. He was the best commander I have ever worked for. He will be truly missed by me and all the guys from 4 Platoon. He will always be in my thoughts, and I am thinking about his family at this difficult time. I will also miss spending time at the weekends out in the town with John. Rest in peace. I will always remember Corporal John Moore, not only for his love of the Army, but his love of indie rock music. Not long before we deployed out here to Afghanistan I went on holiday with John and Private Sean Thomas to Ibiza. He always wanted to go to a place called the ‘Ground Zero’ because it was well known for playing what he liked. I will miss a lot of things about John but most of all it will be how he would always be there to help and have that big smile on his face. My deepest thoughts and sympathy are with all John’s family and friends at this time. You will never be replaced and you will be missed dearly. Rest in peace. Private Sean McDonald was born in Toronto on 5 October 1983. He attended Currie Community High School in Edinburgh before enlisting into the Army and joining the Army Foundation College in Harrogate at the age of 16. Following a year’s initial training, he completed his infantry Phase Two training at the Infantry Training Centre in Catterick. He joined his battalion, The Royal Scots (The Royal Regiment), in 2001 and has since been on three tours of Iraq, and has also served in Bosnia and Northern Ireland. Private McDonald deployed with B Company, The Royal Scots Borderers, 1st Battalion The Royal Regiment of Scotland, as part of the 3 RIFLES Battle Group on 2 October 2009. The company operates mainly from Patrol Base Wishtan in the Sangin district of Helmand province, which previously saw significant activity over the summer of 2009. Private McDonald, as a senior soldier, was responsible for clearing the ground of improvised explosive devices to allow both ISAF and local nationals to walk the streets without fear of death or serious injury. Private McDonald was on a routine night patrol providing security to the local people when an IED detonated, killing him and his commander. He leaves behind his wife Jennifer, his mother Jacqueline, his brother Darryle McDonald, and his sister Ceilidh Spratt. My son was so proud to be a soldier. He will be desperately missed by all family and friends. This tragedy has left a hole in our lives and a hole in our heart. Sleep well Baby Boy. Private Sean McDonald was a true individual whose talents and outlook brought huge strength to the team. In our hierarchical and career-focused organisation a ten-year private soldier can be a rarity these days, especially one found on the very front line, at the tip of the spear, as he was. Yet such exceptions to the rule are just what bring us true strength and Private McDonald was certainly no exception in this regard. Loved and respected in equal measure, he clearly inspired and emboldened the younger members of his section, his platoon and his company. Fearlessly and without hesitation Private McDonald threw himself at the most dangerous and daunting of tasks that the treacherous alleyways and towering compound walls of eastern Sangin could offer. Time and time again, day in, day out, he risked his life for his mates, the mission and better prospects for an oppressed local population. Far from being futile, the risks he and his comrades have taken have brought clear signs of progress towards a better future, none more apparent than in the area in which his company is based. Whether doggedly taking the fight to any enemy brave enough to show himself or compassionately addressing the needs of the local Afghans, Private McDonald was a true warrior and a consummate professional. We all honour Private McDonald’s selfless dedication and determination. We are deeply proud of his contribution and, while hit hard by his loss, we revere his memory with a renewed determination to continue his good work and live up to his fine example. The thoughts and prayers of all of us in the 3 RIFLES Battle Group go out to his beloved wife, his family and his friends. Like so many of his generation, Private Sean McDonald, or ‘Mac’ as his friends knew him, lived life to the full, pushing himself to the limits, always looking for fun and adventure. He was a true battalion character, often stretching the boundaries, sometimes crossing them, but always extraordinarily loyal to his Army mates. Loyalty and commitment may not be virtues held in the same regard by some parts of society, but Mac lived them to the full. He was a talented sportsman, and although an avid rugby fan, his real flair was for mixed martial arts, in particular cage fighting. It is no surprise therefore that he displayed the highest levels of courage and tenacity in the face of the enemy whilst deployed alongside the 3 RIFLES Battle Group in Afghanistan. But he was also a loving and devoted husband to Jenny, whose loss we cannot begin to imagine, and my heart goes out to her. I hope that she takes some comfort in knowing that her husband died a hero, protecting the people of southern Afghanistan, and in doing so helping to protect this country. He will be missed, but never forgotten, and I am privileged to have served with him. Private Sean McDonald was a unique character. Having joined the Army in 2000, ‘Mac’ was very operationally-experienced, serving in Iraq three times. He brought a calm, measured approach to the dangers of patrolling in Afghanistan and it was typical that he fell while at the front of his section, leading them as he cleared a path through hostile territory. I know he wrestled with his future in the Army and we talked of his ambition to go into psychology in some guise. I enjoyed his enquiring and bright mind - he could always be relied upon for an incisive observation. Once his feet touched the plains of Afghanistan he was focused and showed immense, single-minded resolve. He was simply a very good soldier and proved his worth under fire on a number of occasions. After one incident, when he was mildly injured, he shrugged it off and cracked on with true Jock spirit. He was physically tough and had a real passion for mixed martial arts, especially cage fighting, helping to introduce it as a sport at the battalion when we were in Edinburgh. We are hurting at his loss and as day breaks the world seems somehow a dimmer place for his absence. Our loss is nothing compared to those he loved and who loved him. Our thoughts are especially with his wife Jenny and his mother Jacquie, brother Darryle and sister Ceilidh. We will ensure his memory will always remain strong in the fighting ranks of The Royal Scots Borderers. Go well. Nemo me impune lacessit. 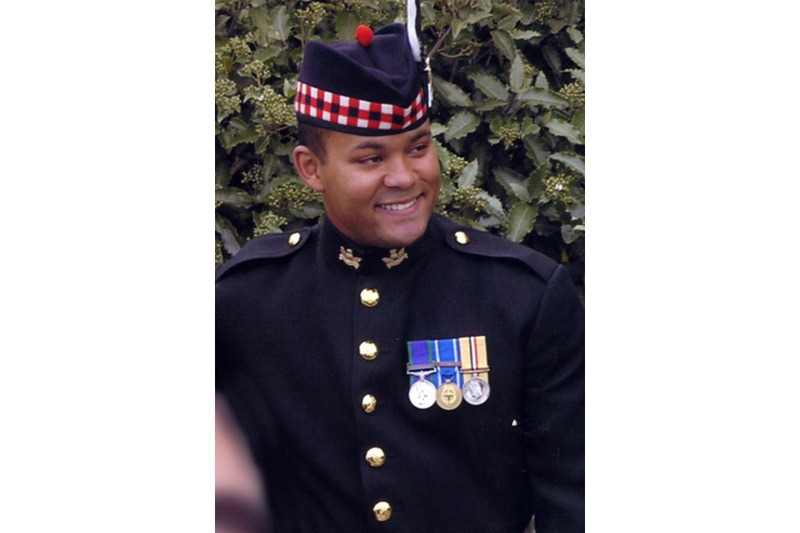 Private Sean McDonald was a vastly experienced soldier, having joined the Army in 2000. He had been deployed on Op TELIC 3, 7, and 11, and had served on Op HERRICK 11 since October 2009. Private McDonald was a fighter, not only had he demonstrated bravery on patrol in Helmand and Iraq, he also took part in mixed martial arts. Far from being a thug he was intelligent and had a sharp mind and quick tongue. He was interested in psychology and hoped to gain a degree in the subject, as well as looking to work in mental health. Private McDonald was a fit and robust character who would push himself to the limits of endurance throughout training and whilst deployed. He got on with the task at hand in Helmand and didn’t look to complain or give a second thought to the dangers he faced. Whilst deployed on the ground he would share a joke as if we were in a bar and then get up and clear a potentially lethal area of ground. The loss of Private McDonald has stunned 4 Platoon, he was someone we could all rely on whilst in Afghanistan and his presence cannot be replaced. 4 Platoon was honoured to have him among us and his memory will be with us on patrol. Our respects are with his family at this traumatic time, his mother Jacquie, and his brother and sister Darryle and Ceilidh. We also extend our condolences to his wife Jenny; he was a remarkable character and I hope they can take comfort in that knowledge. Private Sean McDonald was a strong Jock with a strong and reliable character who had great things ahead of him. He will be sorely missed by all. Rest in peace, we will always remember you. Private Sean McDonald was a strong character, always telling stories about his vast experience; he was well known within the platoon and company as being very strong and fit. He prided himself on this and whenever there was a hard task to be undertaken he would be there. Sean will be sorely missed within 4 Platoon. My thoughts are with Jenny and the rest of his family. Rest in peace. As a section attached to B Company, 1 SCOTS, we have only known Corporal John Moore and Private Sean McDonald for a short period of time. When I asked the Engineer Section to sum both John and Mac up, this was just a few of the words they used: professional, courageous, selfless, committed and true infantry soldiers. PB Wishtan has lost two true brothers from their close family. To these Warriors we will continue the fight. Rest in peace Corporal John Moore and Private Sean McDonald. Private Sean McDonald was a strong member of 4 Platoon and he was always willing to help other members of the platoon. The things I will remember most about Sean is his love for his wife Jenny and his cage fighting and of course not to forget his local pub ‘The Penny Black’, back home in Edinburgh. He will always be missed and remembered. Rest in peace Sean. Private Sean McDonald was a strong and reliable member of 4 Platoon, B Company. He was a very strong character from the platoon who loved to tell a story to anyone who would listen, those mostly being about his wife Jenny and his cage fighting. Sean always liked to have a laugh and a joke within the platoon. Sean, you will be strongly missed mate by everyone in 1 Section and the whole of 4 Platoon. You will never be replaced. Rest in peace Sean. I have known Sean McDonald for about two years now; I will always remember him for looking out for the younger members of the platoon. The other thing I remember about Sean is how he was always referring to how he had been in the Army for 10 years. Sean was a great guy and he will always be missed by me and the section. Rest in peace, you will not be forgotten. I will always remember Private Sean McDonald for his story telling and his love for his wife Jenny and also not to forget his cage fighting. He was a great member of 4 Platoon and he will be missed dearly. My thoughts are with his family and friends at this difficult time. Rest in peace Sean. I was so very sorry to learn of the deaths of Corporal John Moore and Private Sean McDonald. Hearing about these two brave men, I am filled with admiration for their courage and loyalty. Corporal Moore was clearly an extremely committed leader who was ready to rise to every challenge. Private McDonald was obviously a soldiers’ soldier who knowingly took risks to help bring a better future for the people in his area of operations. It is very clear that both were professional, courageous, selfless, and committed - true infantry soldiers. My thoughts and deepest sympathies are with their loved ones.